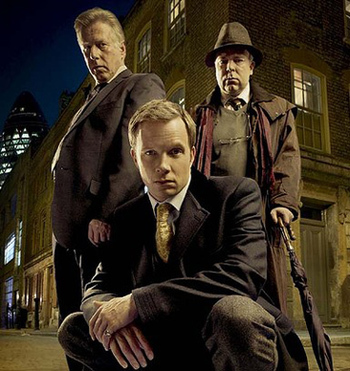 Whitechapel has been around awhile, one of those easily overlooked shows that appears to be a run of the mill BBC cop show, good, but not something that stands out. After watching the first couple of seasons, it turns out we were wrong. The Whitechapel TV series is highly entertaining and imaginative, taking the stories of historic serial killers and criminals and bringing them into the modern era via copycat killers that are just as hard to catch and convict as the originals. The idea works better than it sounds on paper. 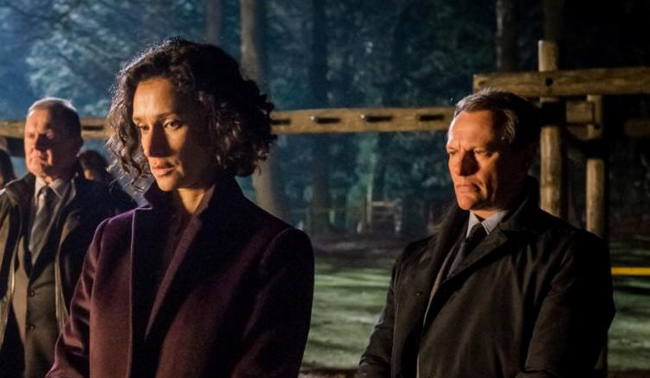 Though the show has any number of predictable police procedural cliches, it moves along at steady pace, rarely giving us much time to consider the likelihood of events unfolding as they do. Some of the characters are overplayed – almost to caricature status – but somehow it all works. 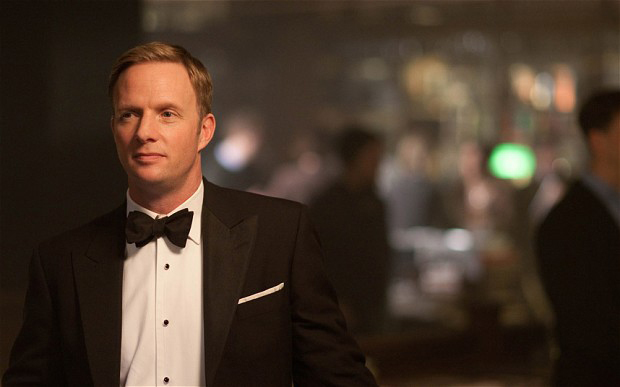 Rupert Penry-Jones plays Joseph Chandler, newly minted as a DI for what is supposed to be an easy step on a fast-track career path. Smart and obsessive, but without much practical experience, Chandler gets thrown into the middle of a Jack the Ripper copycat case. He’s caught between his immediate subordinate, DS Ray Miles, an impatient street-smart cop who thinks Chandler doesn’t know what he’s doing, and his media-conscious boss, Commander Anderson, who has Chandler’s back, but only to a point. Whitechapel Season 2 is based on the Kray brothers, notorious twin mobsters from the 1950s and ‘60s who were investigated for several high profile killings while flaunting celebrity status and influence. Though they died in prison,* someone appears to be following in their footsteps. Both seasons 1 and 2 run for three episodes and follow a single case. The third and fourth seasons are divided into several stories that are still based on historical crimes. It’s a good gimmick for a TV show, even if it does start to wear thin after awhile. The Whitechapel TV series is not quite binge-worthy, but it’s a good choice for those nights when you are not sure what to watch or need a change of pace. One gripe we have about Whitechapel is the lack of diversity. All of the main characters are white males, which shouldn’t be the case for a show set in London in the 21st century. Watch the Whitechapel TV series online at either Hulu or Amazon. There are four seasons, 18 episodes total, each about 45 minutes. *One brother was actually released from jail eight weeks before dying from cancer. Are You Following ‘Paranoid’ TV Series on Netflix?